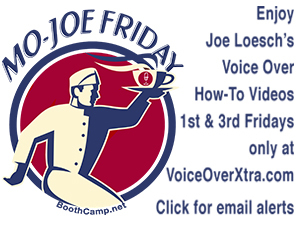 (VOXtra) - Want to send your voice around the world? 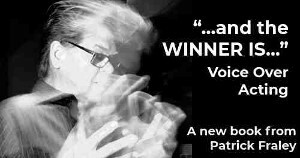 Voice actor Jamie Muffett - born in the UK and now living in New York City and Bucks County, PA - has mastered that, and will share what and how he does it, tonight on the Voice Over Body Shop (VOBS) webcast (starting at 6 pm PT / 9 pm ET on vobs.tv). 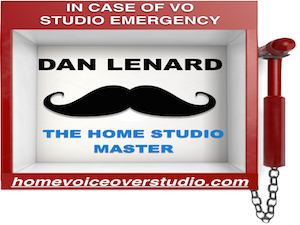 "Jamie came to the U.S. in 2009 and has worked in voice-over for 10 years - and he's been in music and audio production for 20 years," says Dan Lenard (the Home Studio Master), who co-hosts the webcast with George Whittam (VO audio tech guru). "He's voiced for national TV ad campaigns in the U.S., the UK, and across the world," Dan adds. Jamie's VO skills also span video games, promos for NBC, ESPN and Nickelodeon, plus documentaries in the U.S. (Nat Geo/Smitsonian) and the UK (Channel 4). He's also been featured at film festivals including in Cannes, Phoenix and Toronto. 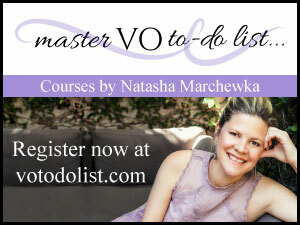 And he hosts and produces the VO School Podcast, devoted to the art, craft and business of voice-over. "We'll talk with Jamie about this industry and look at ways you can make the most of your business," says Dan. You can send questions for Jamie and the guys now to theguys@vobs.tv. And they will answer questions posted in the live, interactive chatroom during the webcast.